There are different reasons for eating chocolate, and while it's true that most people eat it for pleasure, there's a growing number of chocolate makers who are keying in on a different reason altogether, and it's one that explodes all the old myths about chocolate: they're eating (and making) chocolate for the health of it. So when I blind tasted the Firefly Limited Edition 85% dark chocolate bar with maca, my taste buds didn't quite know what to make of it. "What's that flavor? What spice is that??" ran in circles around my mind, as I tried to comprehend what I was tasting. The deep vanilla pipe tobacco aroma belied a very different flavor, one that felt dominated by that as-yet unidentified maca. All sorts of flavor words began to fire off in my head: raw, vinegar, milk powder, roast, toffee, earth, mushroom. Lacking the anchor of knowing what I was dealing with, my senses struggled to synthesize all the information coming at me, which was at once maddening and really a lot of fun. It was a complex puzzle, a mystery, and maybe a trick question all rolled into one, and when I had made all the notes I could make and finally peeked at the label, it all suddenly made so much sense. That overriding flavor that was playing tricks with my tongue was maca, an herb long used for giving sustained energy, straightening out wonky hormones, and even as an aphrodisiac. It is commonly used in powdered form and can be difficult to take, owing to its very pungent, musky root flavor. But when used as an inclusion in a good chocolate bar, the flavor becomes curiously complimentary, and one can only imagine how the antioxidant and endorphin-inducing properties of the chocolate enhance the effects of the maca. It's a marriage made in health heaven. So when it comes to reviewing a bar like this, some of the usual rules take a back seat to a different set of considerations. Not only is this an inclusion bar, it is also stone-ground and made with coconut palm sugar. The flavors and textures are understandably very different than what one would usually look for in a craft chocolate bar, so the process of review in a standardized way is maybe less useful in some respects. 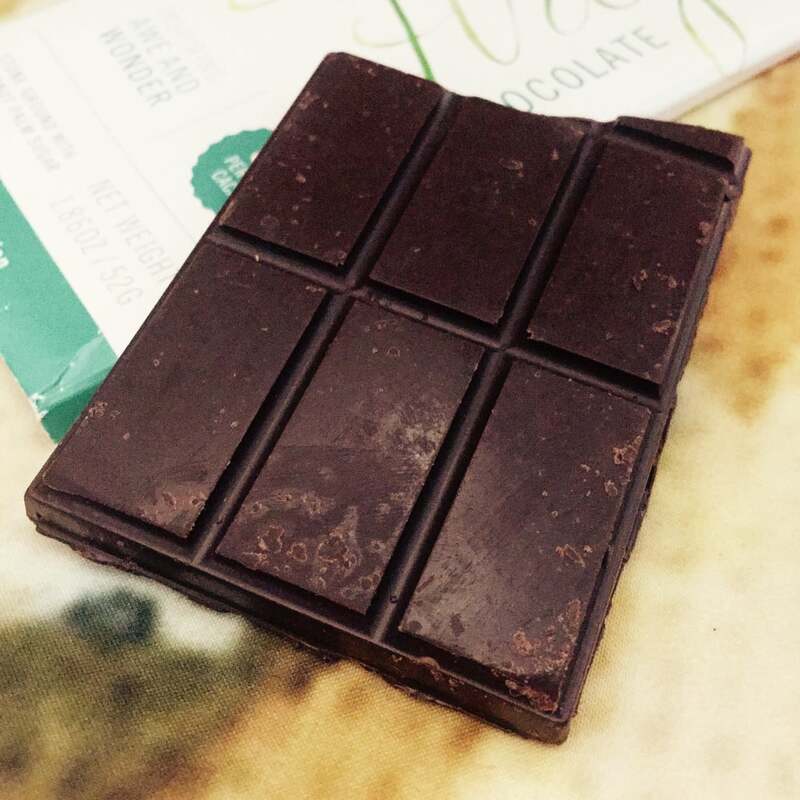 Such as it is, however, I give my best possible overview of this very unique bar, and I encourage anyone curious about the idea of chocolate-as-health-food to give this bar a try. My first introduction to Firefly Chocolate was last October at the Northwest Chocolate Festival in Seattle, when I came to a booth that was lit almost entirely by the broad, genial smile of head chocolate maker Jonas Ketterle. The man just radiated joy, so I figured I'd better pay attention to his chocolate--and I'm glad I did. Firefly is relatively new to the craft chocolate scene: Jonas discovered his connection with cacao in 2012 during a trip to Oaxaca, Mexico, and soon after began that time-honored dance that it seems every aspiring chocolate maker must do: home experimentation and development. By 2014, it became apparent that things were beginning to take off, and a more formal approach was needed. By May of 2015, all systems were go for a full-blown chocolate making facility--the first in Sonoma County, California. Firefly's mission and trajectory are simple, profound, and effective: "Inspiring awe and wonder". Find them at www.fireflychocolate.com or on Facebook.